After 12 hours on a bus, students unload at the Monticello Plantation! 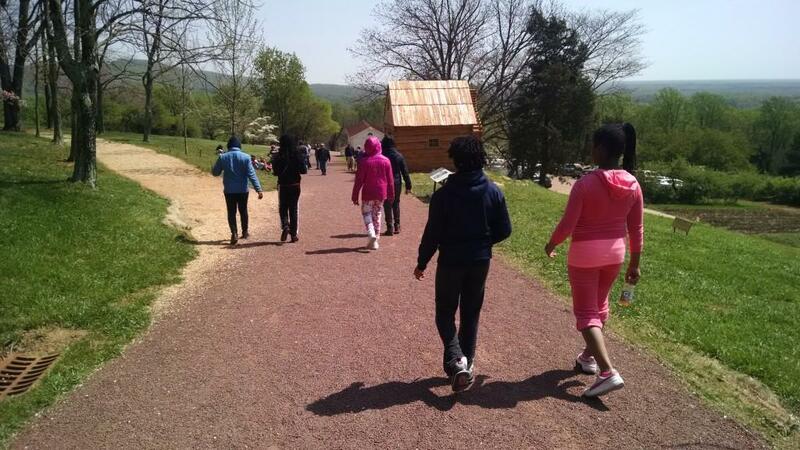 Students roam the estate, exploring Jefferson’s lifelong interest in gardening, botany, and agriculture and enjoying the beauty and variety of Monticello’s restored flower and vegetable gardens, grove, and orchards. Monticello experts lead them on walking tours, offering historical background, plant identification, and stories about the gardens along the way.